Brakes are arguably the most important part of the car. Without them stopping would be… interesting. There are many different problems that can affect your brakes. At J A Price Motor Engineers we have seen all of them, and from our Lydham Forge Garage, Bishops Castle we have repaired all of them as well. A brake health check is part of our MOT Preparation service. We will check your pads & discs (or drums where appropriate) and ensure that your brake fluid is topped up. Pipes will be checked for corrosion and connections checked for leaks and rust. We are able to carry out work on all different makes and models. 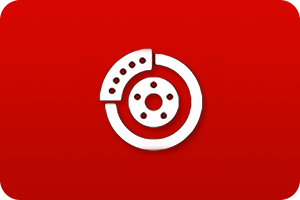 Our mechanics have worked on Brake Disc & Pad Repairs on a wide range of vehicles. J A Price Motor Engineers believe the customer comes first. Our Brake Disc & Pad Repairs specialist will talk you through the problem and will only replace items that are necessary.